The CrossFit Games are the world’s premier test to find the Fittest on Earth. They are world-renowned as a gruelling test for the toughest athletes on Earth as well as a thrilling experience for spectators. Since its inception in 2007, the CrossFit Games have become “one of the fastest growing sports in America,” according to Forbes. 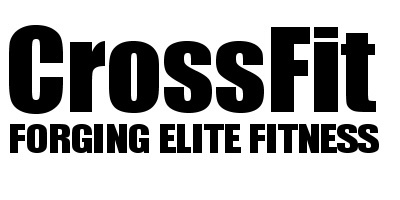 The CrossFit Open is the first stage of the CrossFit Games and is spread over 5 weeks with 5 workouts. The start date is February 21st. Every year at ChalkBox we transform the CF Open in a big team event with team shirts, banners, cakes and much more fun. This year we do things a bit different as The Open will be back on in October for more information have a look here. You can official register for the CF Open via this link. Anyone can register. It means that you will be competing against thousands of athletes around the world. No way you make a chance of winning??? Don’t worry not many make it to the games. It takes years of practise and 100% of dedication to the sport. But its fun to compare yourself to other athletes around the world who might have a day job and families as well. Ordinary people like us. So where does the CF Open fits in? If you ask me personally, the CF open is great fun for people who have been training at the box for at least a year and who like to measure themselves against other athletes in the world instead of just our community. The CF Open workouts are always challenging and will for sure show your strengths and weaknesses. Its a great way to set new goals and targets on movements you need to work on to be ready for our big event in October. In our previous post you can read that we will be doing all 5 CF Open workouts during the CF Open in our standard sessions. So you will all get a taste of what the CF Open is. If you like to register officially for the open you can do the workouts on Friday evening and Saturday and Sunday noon with an official judge present. Remember Fitness and ChalkBox is all about FUN! So if you like to challenge yourself, register for the CF Open. If you guys have any questions, let me know. See you in your next session!